LONDON – DiGiCo has announced the appointment of new team member James Lawford, who takes up the position of UK sales executive and will provide additional support for its UK operation. James, or JJ as he is known, will work closely with DiGiCo's UK dealer network, serving as a dedicated point of contact for both DiGiCo's UK dealers and its end-user customers. He will provide product demonstrations and help to increase product awareness throughout the UK. 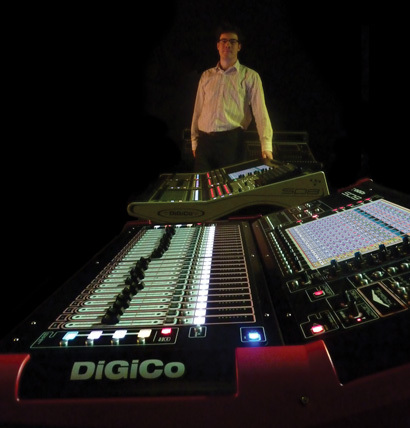 "The DiGiCo team is already very strong," said marketing director, David Webster. "However, we have a real desire to provide the greatest possible level of support and backup to our customer base. "JJ's appointment will have a direct benefit to the UK market, but will also free up more time and the dedicated abilities of other team members on a global basis. Together with our dealer network, this means that we can bring the considerable advantages of using DiGiCo products to an ever-wider audience." Lawford can be contacted at jj [at] digiconsoles.com. For more information, please visit www.digico.org.